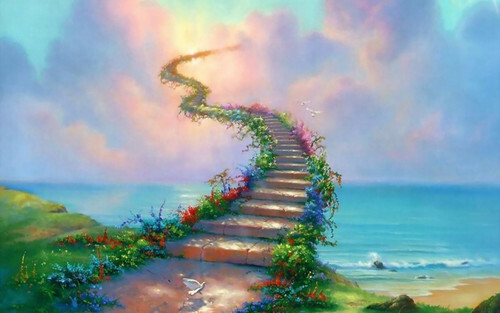 Stairway to Heaven. . HD Wallpaper and background images in the Fantasy club tagged: photo fantasy heaven sky nature birds doves stairway to heaven stairway stairs.